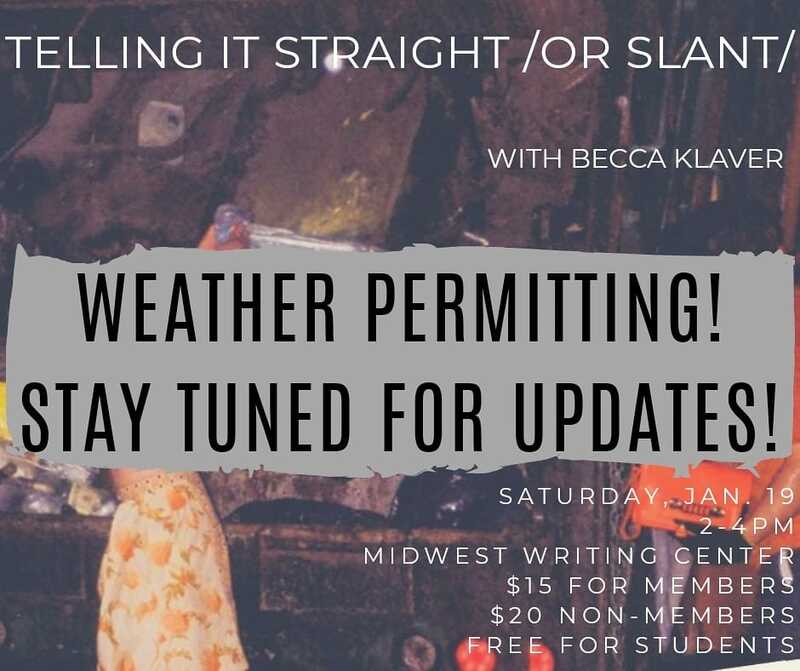 UPDATE: Due to the coming winter storm, this workshop is going to be postponed one week, and will now take place on Saturday, January 26, 2-4pm, and the MWC office in the Downtown Rock Island Public Library. So, if you want to attend but couldn’t make it on 1/19, hopefully now you can! And for those who have registered but won’t be able to make it next week, not to worry—Becca Klaver has graciously agreed to allow us to film the workshop, so we will share it privately with anyone who registered and can’t make it next week, along with sending them a copy of the reading packet Becca is preparing (which is sure to be amazing). Not exactly like being there, but we hope this will be the next best thing and allow everyone who wants to attend to participate in some way.